Why won't PN leader discuss his €86,000 in tax arrears? 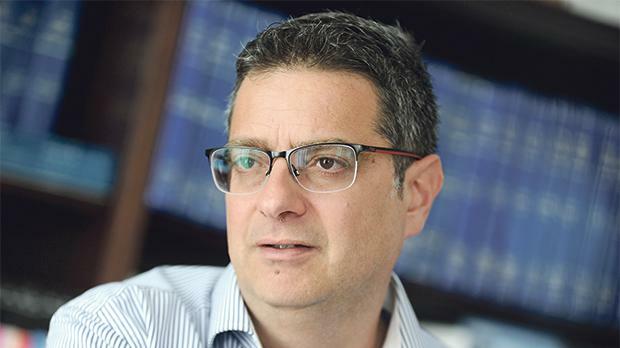 Nationalist leader Adrian Delia has steadfastly ignored questions sent to him by The Sunday Times of Malta about his €86,763 in tax arrears. This newspaper sent questions to Dr Delia about his unpaid taxes one day after he published a statement of affairs on September 15. The statement of affairs showed he has balances due of €51,924 and a further €34,859 in “interests and charges” on those balances. A financial expert who spoke to this paper said this meant he had either fallen behind on his tax payments or had been sent an assessment by the Inland Revenue Department for under-declaring his income. Dr Delia has so far failed to publish his tax returns, despite multiple requests from this paper. Questions about his tax affairs sent to him on September 16, the day of the leadership election, were met with a polite request to re-forward the questions the following Monday, as it was impossible to answer them on election day. A spokesman for Dr Delia promised a prompt reply would be forthcoming. The Sunday Times of Malta asked Dr Delia why he had fallen so far behind on his tax repayments. It also asked if he disputed the amount of tax he had to pay Inland Revenue, how far back his arrears went and why the interest and charges were so high. Dr Delia was asked why he continued to resist publishing his tax returns and if he had ever received an assessment from Inland Revenue for undeclared income. Almost daily reminders have been sent to Dr Delia’s spokesman, as well as to the Nationalist Party. Reassurances were given by telephone on numerous occasions that Dr Delia would be reminded about the pending questions. Questions have also been raised about how the PN leader intends to pay off his debts, which include €829,510 in loans, overdrafts and credit card balances. Dr Delia has given assurances that his assets far exceed his debts and that a financial advisor has been brought on board to help shore up his finances. The PN leader has claimed that he has no savings due to the fact that he has always preferred to invest in property. “I never put much money into a bank but always chose to invest it,” Dr Delia told this newspaper in an interview.